Birthday Quest 2018, Part 1 of 6: Garfields of Dreams « Midlife Crisis Crossover! Arguably our first-ever photo of a “jazz paw”. In addition to our annual road trips, my wife Anne and I have a tradition of spending our respective birthdays together on one-day outings to some new place or attraction — partly as an excuse to spend time together in honor of our special days, partly to explore areas of Indiana (or in neighboring states) that we’ve never experienced before. We’re the Goldens. It’s who we are and what we do. For my birthday last year we drove all the way to Michigan for a comic convention. That’s an average expedition for us, but this one required a five-hour drive that proved a bit much to cram into a single weekend. The con itself was a fabulous experience; the next several fatigued work days after, not remotely so. I wouldn’t mind doing that show again someday, but not as an annual event. This time I decided to keep us slightly closer to home. The answer still involved comics, though not the “book” kind. It was a direct sequel to a previous birthday trip. And it was loosely inspired by video games. Muncie was the old stomping grounds of Davis back in the day, the whereabouts of his long-running production company Paws Inc., and consequently the holder of more Garfield statues than any other town you know. But their collection is far from an Indiana monopoly. Thirty to sixty minutes northwest of Paws Inc., another dozen Garfields stand in front of various businesses in nine cities and towns as tributes to his entertainment value, to his merchandising power, and to some of the personal accomplishments that make those locales proud. Our 2014 birthday itinerary was too packed to include their distant digression, but they’ve remained on our to-do list ever since…until now. In brainstorming my options this year, I returned to the idea of the Garfield Trail, as it’s called. It’s ninety minutes northeast of home and its most direct route requires using my least favorite interstate in all of Indiana. At first this seemed too far and like too much work. After letting my mind wander to odd places, the idea began to remind me of a different fun thing: video game side quests. Modern gamers know how it works: the average game has a main storyline with a series of missions that must be completed in order to follow the narrative from cinematic intro to saga-length end credits. Along the way, players have numerous options for additional tasks that can earn them extra trophies or power boosts, and/or give them an excuse to explore more of the vast, detailed terrains that thousands of programmers worked for years to create and would really like to show off to an appreciative audience. if you’re loving a particular game and reluctant to let it go after you’ve defeated the final boss, side quests are a great way to prolong the magic and stay immersed in its environments until you’ve drained every last byte of playability from it. One of the most common kinds of side quests is the one where you collect matching items from all the worlds and levels throughout the game, hidden in dark corners or tucked into blind spots away from the cameras. Whether it’s the Riddler Trophies in the Batman: Arkham games, Sly Cooper‘s clue bottles, Ratchet & Clank‘s gold/platinum bolts, Borderlands‘ Vault symbols, or all the authentic 1940s cars and olde-tyme Los Angeles tourist attractions in L.A. Noire, side quests have become a thing of fascination for me in the PS3 games I’ve been enjoying over the past few years as the modern world left me behind as a “retro gamer” of sorts. 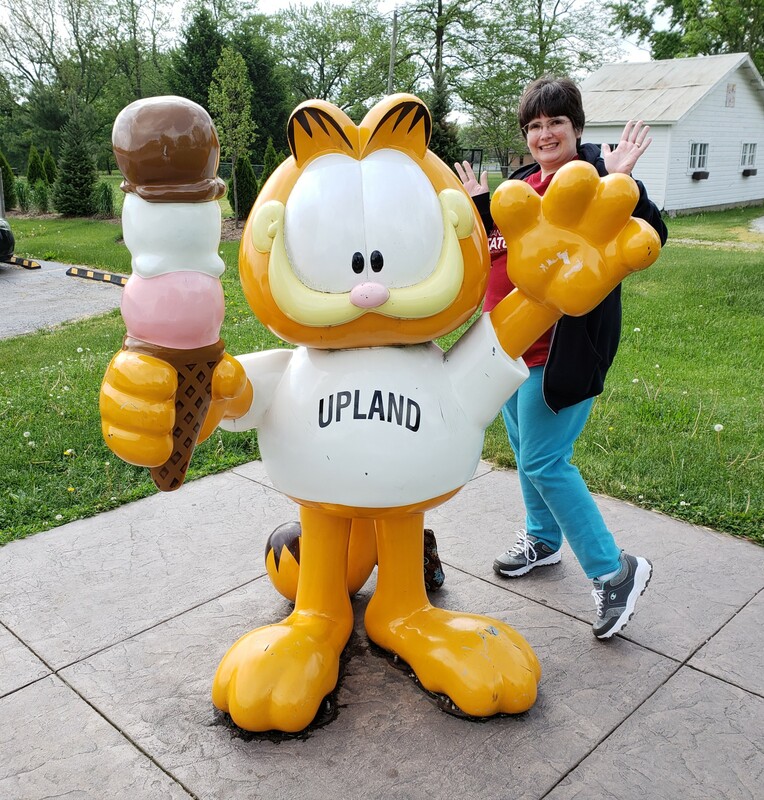 It was in the spirit of that hobby-within-a-hobby that I reframed the Garfield Trail in my mind — not just as a basic road trip to view some roadside attractions, but as a live-action side quest. No controllers, no trophies, no monsters to fight, the rules are made up and the points don’t matter — just the two of us, a series of “levels”, and a checklist of eleven items to round up. Anne generously agreed to this one-day adventure, and we were off and running. But first: breakfast. 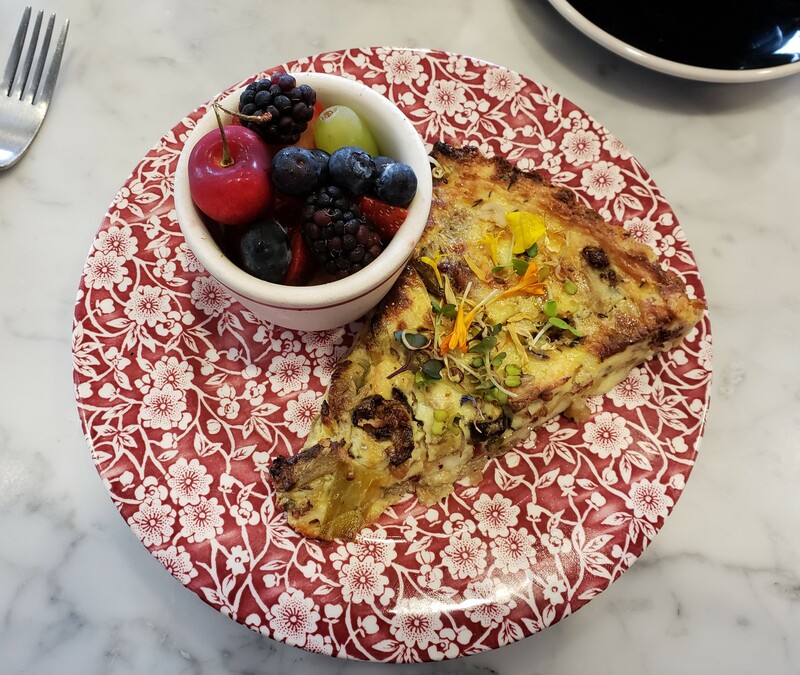 We stopped on the way in upscale Carmel, one-third of the way between us and the gaggle of Garfields, for artisan repast at Eggshell Bistro, a rustic eatery with industrial-chic decor, fresh herbs for toppings, and sincere use of mustache wax on the premises. 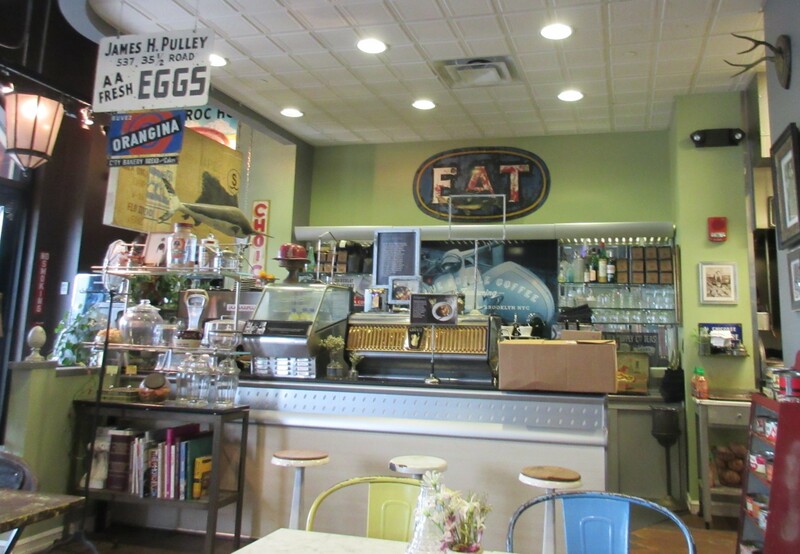 We may not dress like their average clientele, but we loved it and hoped to return next time we’re in the neighborhood. The bistro at a glance. A weekend farmers’ market was underway around the corner, but we simply didn’t have time. My Artichoke Tart, which included pancetta, olive tapenade, capers, gruyere, whatever “pecorino” is, and I wasn’t kidding about those lovely herbs. 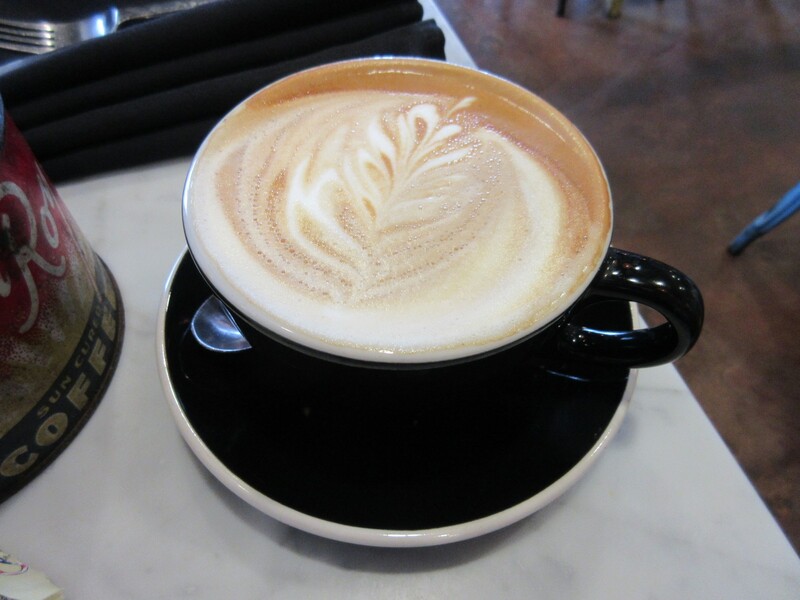 Latte art: a sign of quality to us middle-class bumpkins. Thus the Garfield Quest commenced. Alas, we started the day with a caveat: one of the twelve Garfields — the one in the town of Van Buren in front of their library — was temporarily behind closed doors for repairs. The Garfield Trail’s official site helpfully warns travelers whenever any of their fat cats are M.I.A. We appreciated the heads-up. An hour after breakfast we arrived at Garfield #1 in the town of Matthews. Each has its own name. 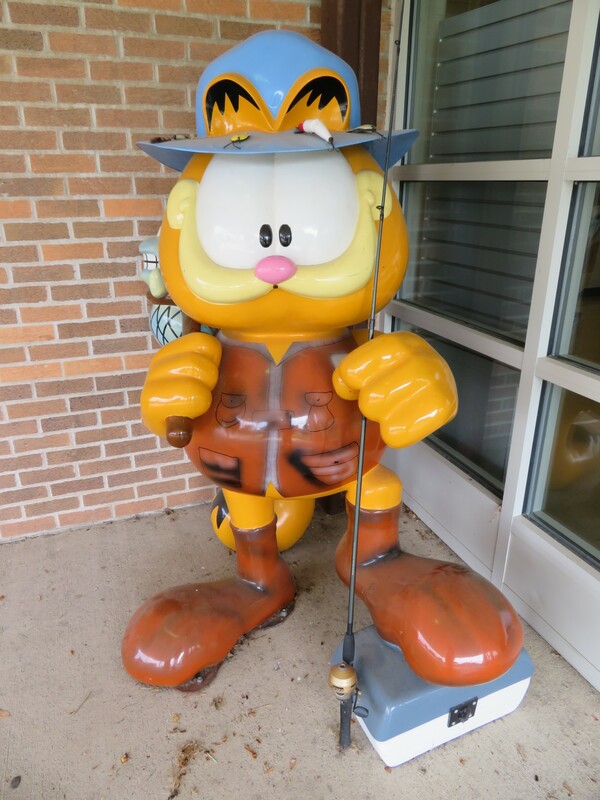 Meet “Gone Fishin’ Garfield”. Once upon a time, Matthews was a booming center of the natural gas industry until the turn of the 20th century saw its primary resource altogether depleted. The factories fled, but the town remains. Garfield is at their combination town hall and town library, a large cube of tan bricks that surely must have once been a schoolhouse. We arrived well outside their extremely limited business hours, but Garfield stands out front and in a sheltered corner. 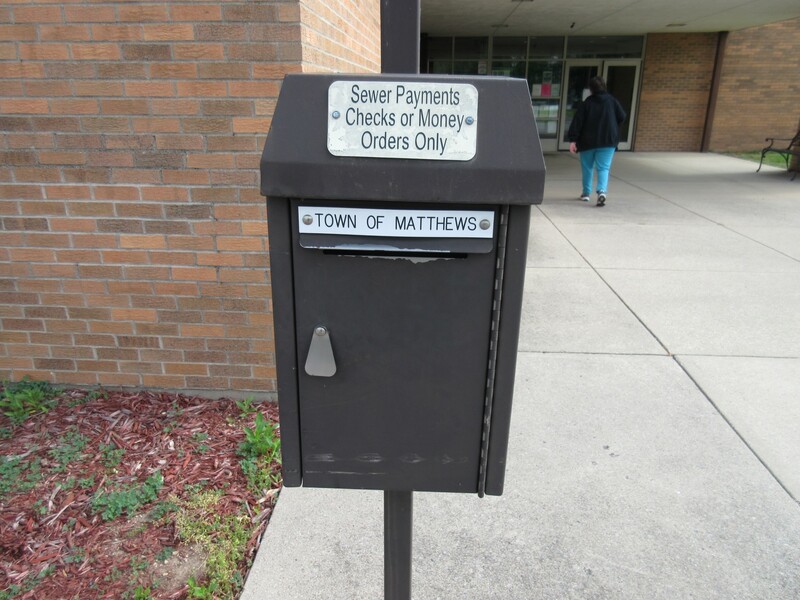 There’s also a library drop-box that used to be a USPS mailbox. As we returned to the car, another man and woman each pulled up next to us in separate cars in the otherwise vacant parking lot. We were afraid this would be one of those encounters where we’re side-eyed askance and suspected of being up to no good. We sighed and smiled when they asked if we were there for the family reunion coming up later — say, blood-linked total strangers near the bottom of the invitation list. We explained that, nope, we’re just Garfield Trail-blazers. 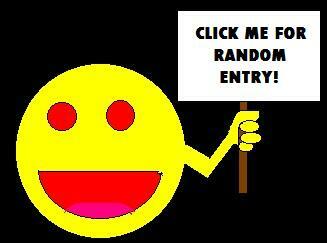 Their smiling curiosity upgraded to courteous excitement for us. 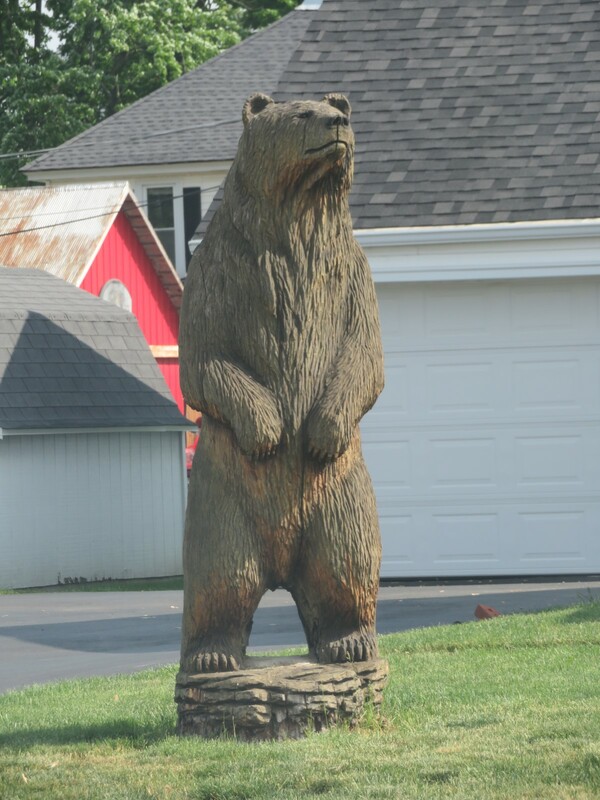 Random surprise wood-carved bear in someone’s yard along our way out of town. 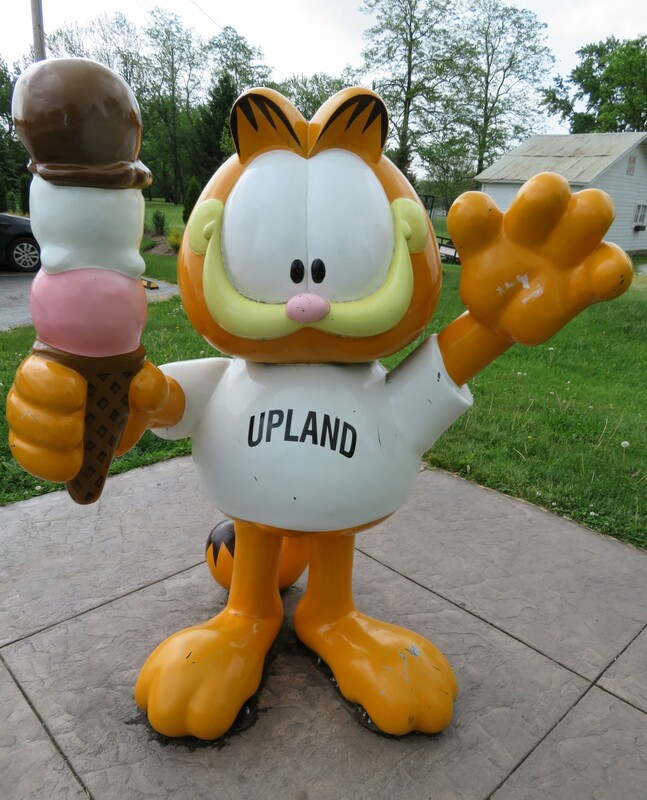 Ten minutes north was Garfield #2 in the town of Upland. 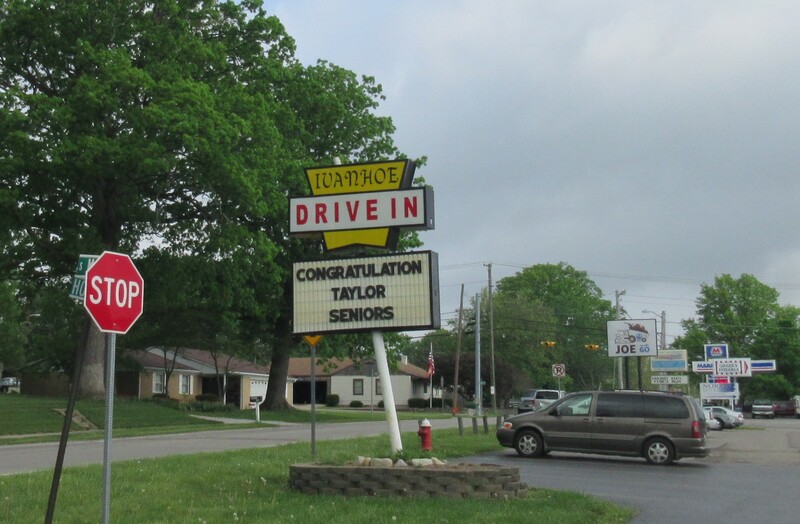 They’re the home of Taylor University, but possibly their most beloved institution is a restaurant called Ivanhoe’s, serving the area since 1965. The walls are covered with wood paneling, some of which is covered in turn with photos of locals and students having good times upon good times. 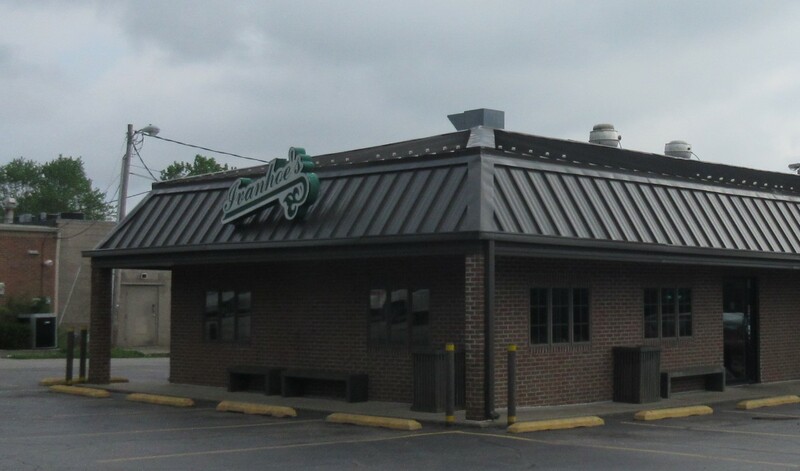 The key selling point is their menu boasts exactly 100 kinds of shakes and 100 kinds of sundaes. That’s the kind of assortment that really sticks in a traveler’s mind. At first glance, an ordinary street in any small town. Behind this plain facade: TWO HUNDRED DESSERTS. TWO HUNDRED OF THEM. 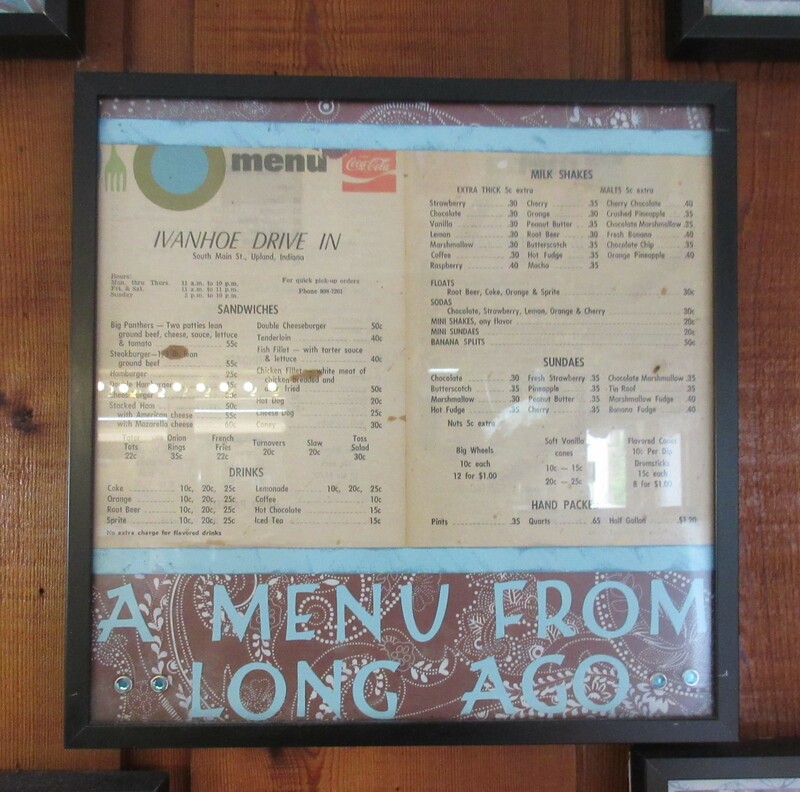 Peruse the menu of yesteryear and weep at the prices. Theoretically we could’ve gone back in time and bought one of everything. 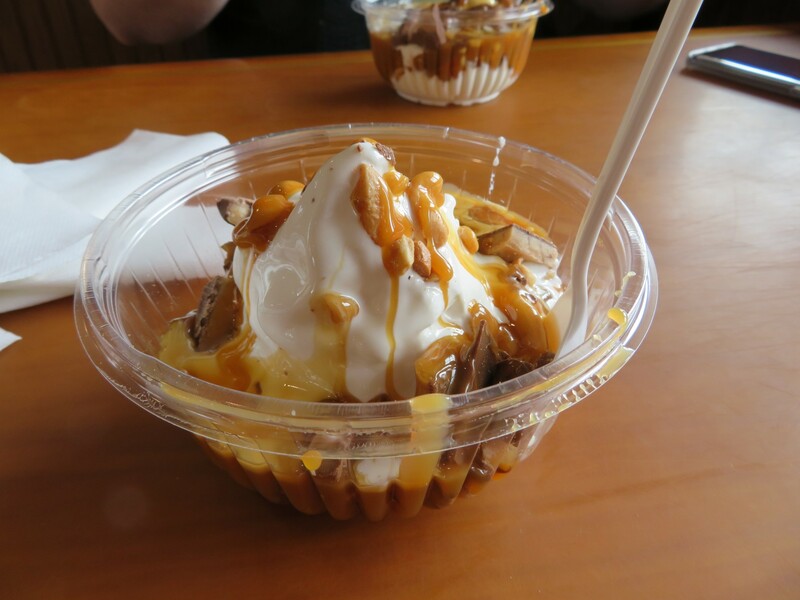 Many of their sundaes are soft-serve. It was a bit soon after breakfast, but we couldn’t just not have ice cream at the super ice cream shoppe. 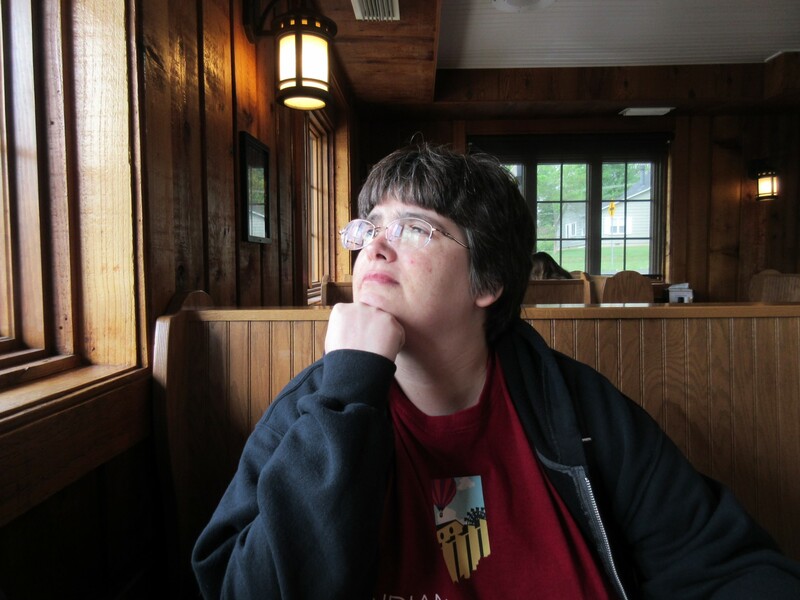 Anne poses for her eventual New York Times feature article, “In This Faraway Small Town, One Voter Absolutely Doesn’t Want to Talk About That Thoroughly Horrid Election”. “Scream for Ice Cream Garfield”, because ice cream. Two Garfields down, nine to go. To be continued!